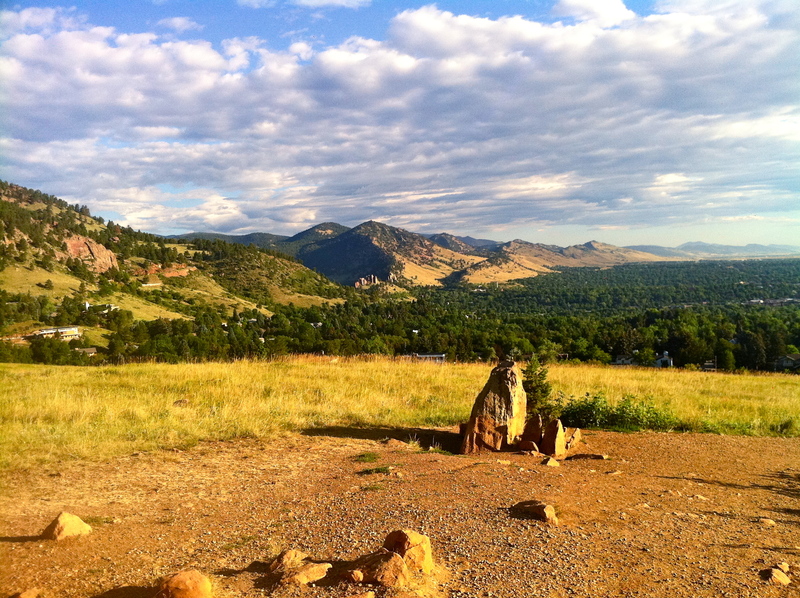 A short drive from downtown Boulder to the Baseline Trailhead off of Baseline road where the Flatirons await ahead. A beautiful morning looking out over Boulder. Pretty typical of what every morning looks like here. 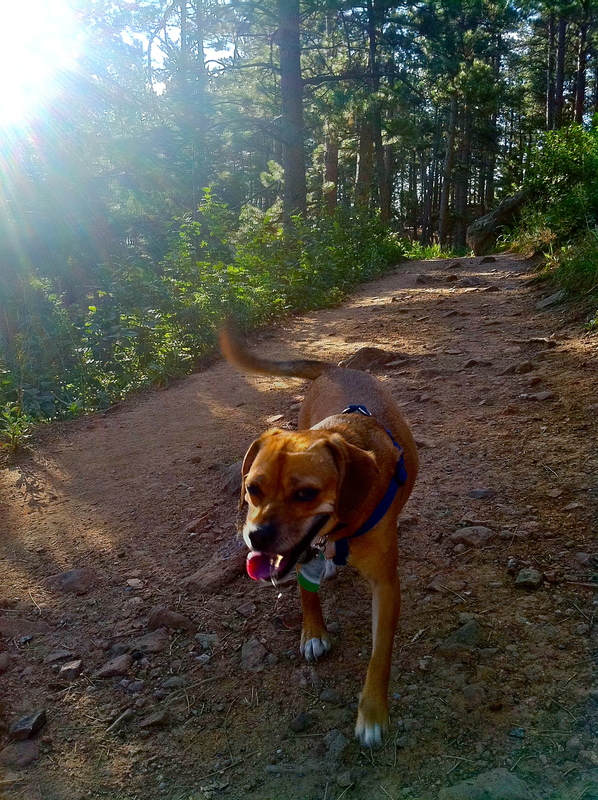 My friends’ pup, Gilbert, leads the way onto the Bluebell-Baird trail, a nice easy morning loop to do before work. It’s well traveled and leads to lots of other interesting trails. Another good one to do if you’re solo. Some sites have special meaning for others along the way. My friends fondly recall having their wedding photos taken here. They recently just celebrated their first anniversary & have been hiking this trail together since college. You’re always rewarded when you get up and go on a hike in the morning. I still pinch myself to make sure I actually do live here. 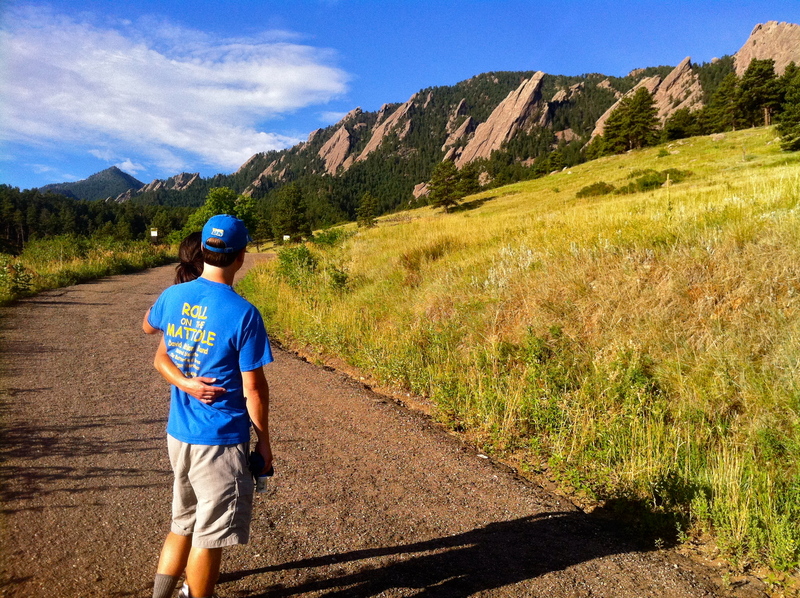 You are currently reading A beautiful morning hike in Chautauqua Park at 52 To Do.